Everyone knows that the electric shavers are faster and smarter than the traditional manual shavers. In this modern world, everybody wants to save time and effort. In this sequence, electric shaver made the process easier. 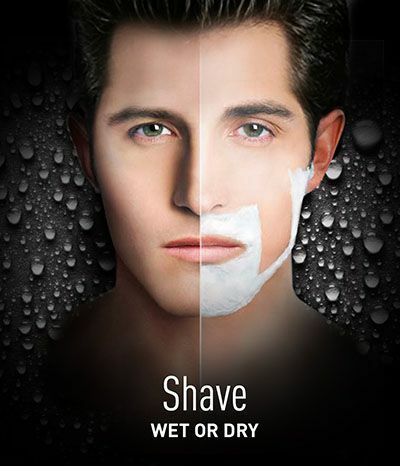 Panasonic is an amazing brand of electronic products, especially in the men grooming. The company achieved the best electric shaver award in 2014-2015 for their wonderful Arc5 Series. The Panasonic ES-LV81-K is the old model in their Arc5 series. This electric shaver model promises to deliver a smooth shaving experience. The Panasonic ES-LV81-k electric shaver includes five foil blades. It gives closest and highly comfortable shave on sensitive skin. We are going to discuss below with the full details of Arc5 ES-LV81-k. These are essential items that you need with a shaver and you will get all of them inside the box. Who Should Buy Panasonic ES-LV81-k Arc5? If you like the quality product. When you are eager to pay a bit large amount of money for a first class product. The Panasonic ES-LV81-k Arc5 introduce us to an exclusive feature for the first time in the world. Panasonic spent lots of time developing the best shaving technology for this unit. 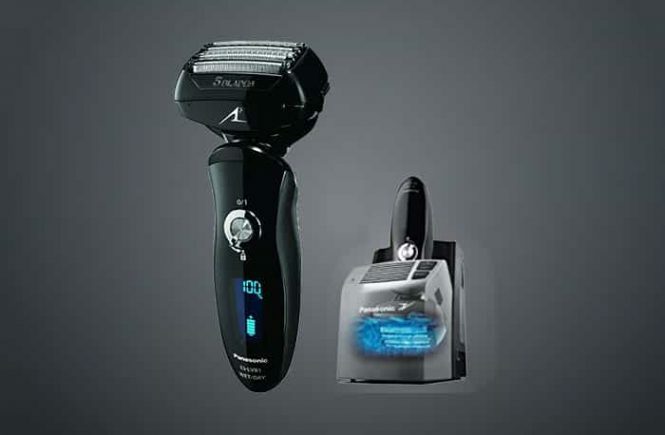 This is the world’s first electric shaver which contains five ultra-thin blades within the foil cutting system what decreases the shaving time. Not only it decreases the time but also covers the wide area. 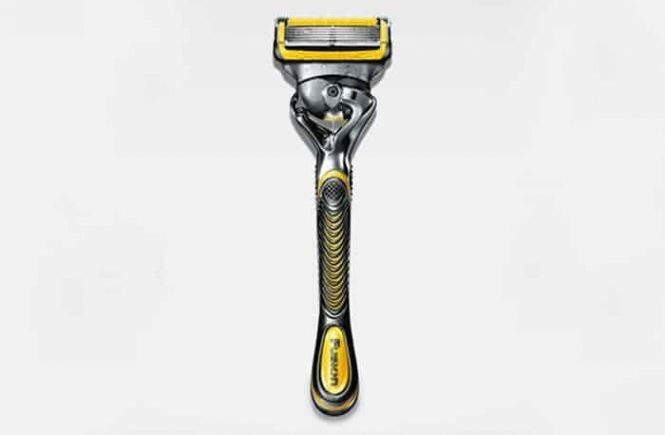 The nano polished blades are positioned at 30-degree angle to remove your hair and beard perfectly. This is exactly a timesaver and a well-desired shaving device for the busy user. It will cut better than the 4 blade shaving system. The 5 blade linear system can remove all of your facial hair within a short time. The foils and blades of this razor are made of stainless steel. To get a close shave, you won’t be disappointed with your electric razor. Whether you have thick facial hair, flat laying facial hair or uneven facial contour, the 5 blade ultra vibrating system will deliver you close and smooth shave. Additionally, the Lift Tech foil will pick up all the flat hairs on your face. If you want to get a smooth shave, you must move the shaver in all directions. (a) Lift tech foil that features reversers trapped edges that lifts and cuts flat laying beards. (b) Finishing foil which specialized shape foil to capture and cut stubborn hair. (c) Silt foil that enables the shaver to catch longer hairs and cuts to the ideal shortness in shaving. The shaver has lift teach foil system which works to provide an extremely close shave. Lift tech foil system captures stubborn hairs and cut flat-lying hair. The shaver Panasonic ES-LV81-k Arc5 has the multi-flex pivoting head. The multi-flex pivoting shaving head pivots in multiple directions. It ensures the angle of the head is constantly well position against your face. The Panasonic Arc5 ES-LV81-K flexes approximately to 20-25 degrees. It has the ability to reach problem areas neck and jawline. It is large size shaving head. That is why it enables to cover the wide surface area in one pass. As a result, you can shave very fast. It has a very powerful motor that produces an aggressive speed of shaving. The motor of the Panasonic ES LV81-K Arc5 Shaver although cuts at 14,000 CPM amazingly. This high CPM means that you save time on each and every shave. 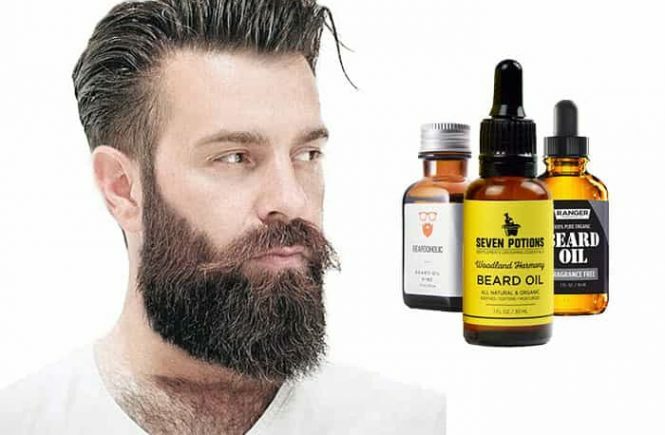 If you have a thick and rugged beard, this high CPM will cut these perfectly. The shaver is remarkably quiet in operation and creates a low volume of sound. The holder of this electric shaver has two functions which called Clean and Charge. The cleaning system uses a non-alcohol based solution. You can place the shaver in the cleaning station, then press the button. It will clean and charge up automatically. It needs only 10 minutes to clean. If you want to clean quickly, you can use the sonic vibration mood under the running water. The sonic vibration mood will help you to remove hairs and clean blades hygienically. The lithium-ion battery fully charges in only 1hour and provides enough power of 45 minutes of running time. To clean the Arc 5 electric shaver is very easy and quick. You can clean the shaver under running water because it is 100% washable. We love the Panasonic ES-LV81-k Arc5 because it has both wet and dry shaving capacities. 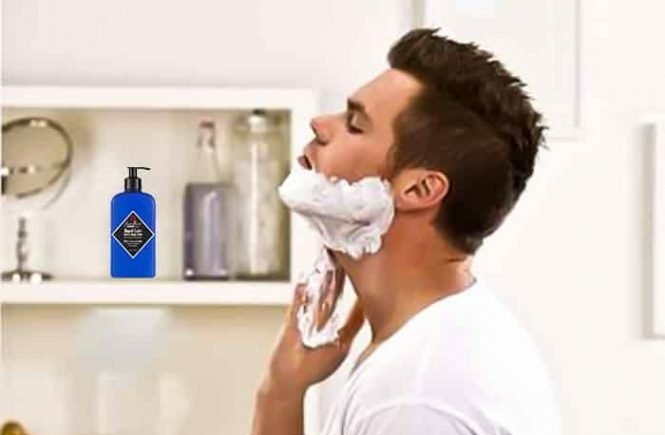 You can have a regular dry shave with the shaver and get the premium facility to shave with foam, gel, soap, or shaving cream for having a perfect wet shaving. And also it offers the facility of shower shaving. The Panasonic ES-LV81-k Arc5 shaver comes with 10-stage of an LCD display. The LCD display indicates many things, such as charging indicator, battery and hygiene status. The Panasonic ES-LV81-k Arc5 is not so heavy nor too light because it is only 6.4 ounce and dimension 2″ x 2.8″ x 6.3″. Most of the Panasonic ES-LV81-k Arc5 users are happy with its outstanding service. The people who have rough hair and exceptional facial structure must refuse those areas, again and again, any other shaver but the Panasonic ES-LV81-k Arc5 can erase the hair in a single stroke. After shaving by this device you can’t find any missing spot. The header of the shaver is so functional because it covers lots of areas fast. It reduces your shaving time 30-40%. The Panasonic ES-LV81-k Arc5 has a pop-up trimmer which provides perfect finishing. The Arc5 gives you premium look and feel. If you want to shave faster with comfort and want high-end results, then there is no alternative the Panasonic ES-LV81-K Arc5. It is good for all kinds of hair whether it is thin or thick. The Panasonic ES-LV81-K Arc5 men’s shaver comes with smart and creative features. Overall it is one of the most premium and best electric shaver. If you want comfort and most advanced shaver the Panasonic ES-LV81-K Arc5 is yours to have. I am getting awesome results using the Panasonic ES-LV81-K Arc5 shaver. its cleaning system is automatic which is so much easy for me. As a result I don’t need to buy alcohol and cleaning cartridge. It provides me close and comfort shave what I want. Totally I am satisfied to use Arc5 shaver. You have a great choice. Enjoy your great shaver. I have 5 electric shaver among them the Panasonic ES-LV81-K Arc5 is the best razor for me. I feel relaxed and easy when I shave by Arc5 shaver. it provides me close shave what I want. I think Arc5 shaver is better than any other shaver.